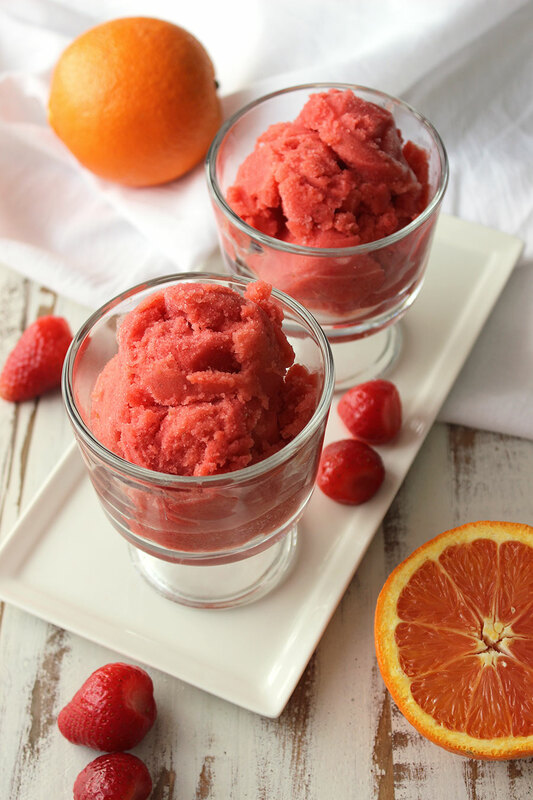 Sorbets of all kinds are wonderful, easy-to-make treats any time you’re craving something sweet and simple. Strawberries and oranges combine for the best of both worlds, something deliciously sweet and tart. If you don’t have an ice cream maker, you can also make this in a high-powered blender by blending it, freezing it for fifteen minutes, blending it, and repeating two or three times until you get a semi-solid consistency. It won’t come out with quite the same creamy texture, but it will still taste fantastic!